Madame Blavatsky (1831 –1891) was a mystic, author and co-founder of the Theosophical Society. She was widely respected (though partly controversial). Her last book, translated from the same esoteric source of her ‘Secret Doctrine’ book, was titled 'The Voice of The Silence' and is a guide for students on the path of spiritual awakening. This presentation will facilitate the practical understanding of this book, called “one of the most remarkable books in our Theosophical literature” by C. W. Leadbeater. This presentation is offered from the vantage point of my 45 years of experiences in the study and practices of Vedic teachings, yoga and meditation. My insights are augmented by other writings of the early leaders of the Theosophical Society. An introduction to: components of a daily mantra practice; different forms of mantra repetition; and setting one’s intention (sankalpa) for the practice. Guidance offered on overcoming obstacles to daily practices. Instruction includes group practice of several Sanskrit mantras. Includes handout & mantra recordings. Our needs to create and sustain positive relationships are ever-present. Relations at home, work, or with extended family involve challenges and opportunities that can be rewarding or stressful. Sanskrit mantras can provide powerful assistance to bring emotional strength, mental clarity and support. Workshop includes detailed handout and recordings of mantras. The Vedas, Upanishads, Yogic texts and teachings from advanced mystics of many traditions describe specific attributes and experiences involving the inner journey to discover extraordinary benefits awaiting within the 8 petalled Hrit Padma chakra, also known as The Sacred Heart. This workshop focuses on the experiences, techniques and benefits of the mantra & yogic path to the Sacred Heart’s Inner Chamber. Basic practices and advanced mantra disciplines. Hrit Padma teachings from several religions, mystics and some contemporary yoga teachers. In our pursuit of benevolent goals, we can become invincible! Daily mantra practice can greatly empower our lives when that practice is aligned with dharma (universal forces) & guided by sattvic (spiritual) intentions. Our efforts to succeed, in all aspects of our lives, can gain very powerful support through mantras. This workshop provides guidance on which mantras & forms of mantra practice are appropriate are optimal to each person’s situation. The Bala Atibala mantra for strength (super-strength) of body, mind & spirit. The Pancha Dasi Mantra with a focus on inner spiritual awakenings. Options for basic or advanced mantra practices. A mantra in the Brahma Vaivarta Purana to aid in attaining the 4 aims of life: Artha (wealth), Kama (fulfillment), Dharma (virtue) and Moksha (liberation). A Subramanyan Mantra to support “auspicious outcomes”. Mantras associated with the Kaustubha Gem (a state of consciousness where the spoken word (as Satya Sankalpa) is empowered by dharma (divine law) . Which mantra practices are rajasic or sattvic, and why this difference is important. Several less commonly taught Ganesha mantras to help us achieve our goals. A goal of this workshop is to maximize access to the full power of each mantra, guided by knowledge from respected traditions, advanced yogis and reliable scholarship. 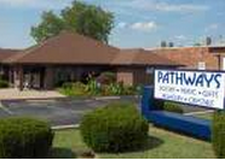 To schedule a private 30 minute session with Bill, phone Pathways at 314-842-0047 to check on available times.